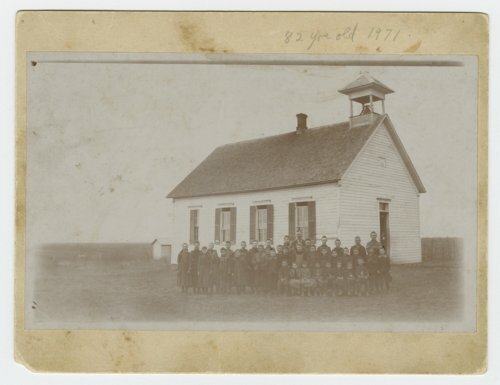 A photograph of students and their teacher at the Maple Grove School #4 in Crawford County, Kansas. This school was located four miles east of Hepler, Kansas. Bert Fox, age 7, is on the right end with an "x" over him and Clarence Fox, age 7, is in the center with an "x" over him.